In 2015 two hackers managed to hack TalkTalk, a major UK based telecoms company, stealing information of more than 156,000 customers. This information included banking details and credit card details of customers. They have now been sent to prison after being sentenced on Monday 19 November. The hack put customers in danger of having their financial accounts compromised, and also cost TalkTalk £400,000 in fines issued by the Information Commissioner’s Office. TalkTalk was fined for not putting appropriate security measures in place that would have prevented the attack from happening. It’s estimated that TalkTalk’s total losses from the breach are £77 million. The two hackers are Matthew Hanley, 23, and Connor Allsopp, 21. The pair is from Tamworth in Staffordshire and pleaded guilty to the charges. Judge Anuja Dhir, responsible for the sentencing at the Old Bailey described Hanley as a “dedicated hacker”, dishing him a 12-month prison term for his role in the hack. Allsopp got an 8-month prison sentence because it is believed he played a lesser role in the attack. It is known that Allsopp was responsible for selling the stolen information from the 156,000 customers to a friend so that it could be used in fraud. Related to the case, 21-year-old Daniel Kelley was arrested and charged with obtaining stolen TalkTalk customer data and using it to blackmail the company’s CEO into sending him 465 Bitcoins. Your actions and the actions of others resulted in the then CEO of TalkTalk being subjected to repeated attempts to blackmail her for money. You were not personally involved in making those attempts, but your actions helped facilitate it. Several other people were arrested in connection with the attack. 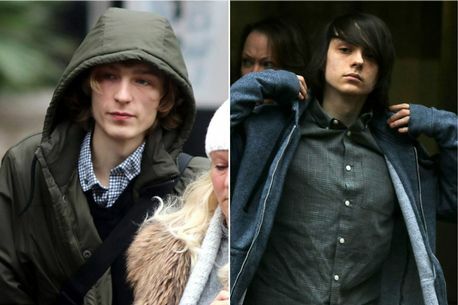 Two 16-year-olds and one 15-year-old were arrested for their part in the hacking and blackmailing of TalkTalk.